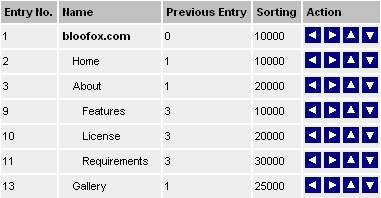 For sorting the entries you must change to the levels view. You may move pages up and down as well as to the left and right to build a structured tree. All sub-entries will be moved as well.